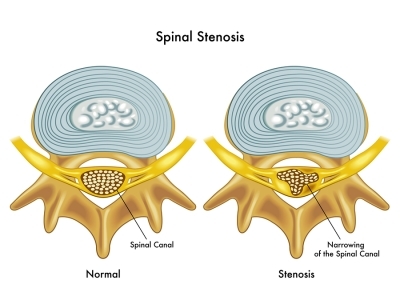 Home / Blog » What Are the Symptoms of Spinal Stenosis? Spinal stenosis is a condition in which the spinal column narrows, putting pressure on the nerves and spinal cord. Although some people don’t experience any symptoms with spinal stenosis, others have debilitating pain and other symptoms that interfere with their daily lives. If you have any of these symptoms, consider consulting with your back doctor in Miami to see if spinal stenosis could be right for you. The exact symptoms of spinal stenosis depend on which part of the spine is impacted. Stenosis in the lumbar spine, or lower back, can cause low back pain and muscle tingling and weakness in the legs. In the cervical spine, stenosis can cause pain, severe weakness, and in severe cases, paralysis. Common characteristics of all forms of spinal stenosis pain are that it develops slowly, is intermittent, occurs during certain activities, and is eased by rest. Your doctor will evaluate all of your symptoms and may order imaging tests to determine if spinal stenosis is causing your symptoms.